Want your Tile Installed by a Home Depot Professional? Tile serves two main functions; as a beautiful flooring and as a lovely backsplash or bathroom wall. The durability and water resistance of the material makes it a popular choice for use in laundry rooms, bathrooms, kitchens, and high-traffic areas of the home, such as foyers. Choosing the ideal tile is easiest when you first consider the application. Floor tile is highly durable, making it an ideal selection for high-traffic areas and rooms that are exposed to moisture, such as kitchens and entryways. They tend to be larger in size than wall tile, making it faster to install them in a large room. Floor tile is typically finished with a coordinating grout and sometimes a sealer, based on what material the tile is. Stunning kitchen and bathroom backsplashes are typically made of tile. Wall tile can be sold by the individual piece but is most often pre-arranged on a backing that makes it easy to achieve an intricate pattern in a fraction of the time. Wall tile is smaller in scale than floor tile and is easy to wipe down when it gets splashed by water, grease, or food. Often times, bathroom start with tile on the floor that then extends up the expanse of the wall, making the entire are water resistant and consistent in appearance. This is especially popular as walk-in shower tiles. Tiles designed to extend from the floor to the wall are medium in scale. Once you've determined where the tile will be used, it is time to select a tile material. 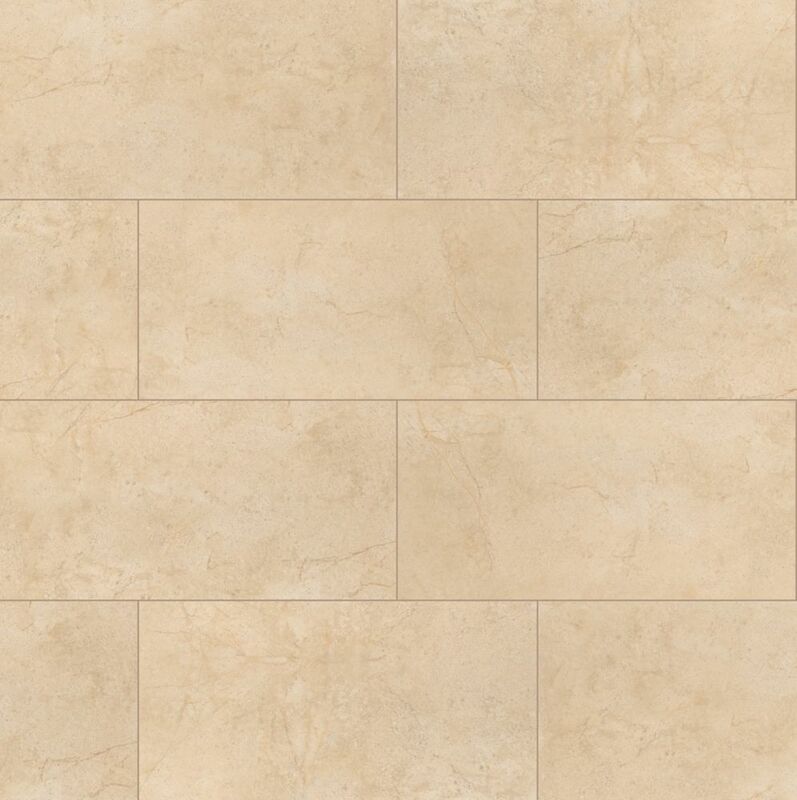 Ceramic tile is crafted of fired clay, making the finished product stain and water resistant. These popular bathroom tiles are intended for indoor use only and are a budget-friendly option for floors and walls. Ceramic tile comes in a wide array of colours from which to choose. Like ceramic, porcelain tile is stain and moisture resistant. They are more durable than ceramic, however, making them suitable for both interior and exterior applications. The wide variety of colours and textures available with porcelain tile makes it easy to find one that coordinates with your existing décor. Granite, marble, and slate are all natural stone options when it comes to tile. Because the materials are mined from quarries, they can vary greatly in colour, texture, and variation within each tile. They are durable enough for both indoor and outdoor use and are easy to match to countertops, which are often drafted of natural stone as well. Because they have a naturally porous texture, they can be more prone to staining and moisture absorption than porcelain and tile, making them a better choice for flooring in dry areas, such as living rooms, bedrooms, and hallways. Glass tile is one of the most popular materials when it comes to backsplash tile. It also makes a fun accent border or stripe in showers and bathrooms. The glossy look of the glass reflects light. This product comes in a wide variety of vivid colours. For something a little easier to apply at home, consider peel and stick backsplash tiles that offer the look of glass in a raised sticker design. When you are looking for an intricate tile pattern, mosaic tiles are definitely the way to go. These tiles feature small tiles arranged on a large backing, allowing you to lay down an intricate design as easily as you would with any floor tiles. They can be crafted of any tile material and provide easy spaces of even the smallest elements. With so many different tile sizes, materials, and colours available at The Home Depot, it is easy to find the ideal product for any project around the home. Add classic subway tiles to the bathroom or cover an outdoor kitchen in sophisticated porcelain tiles. Take advantage of the professional installation services available through The Home Depot to get your new product installed with precise and lasting results.